We are proud to stock the brilliant Go Garden Hoole Cast Iron Chimenea Fireplace. With so many on offer right now, it is good to have a brand you can recognise. 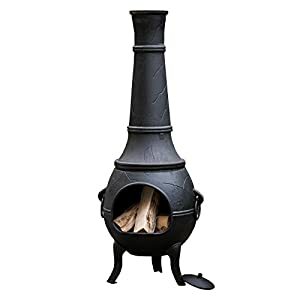 The Go Garden Hoole Cast Iron Chimenea Fireplace is certainly that and will be a superb buy. 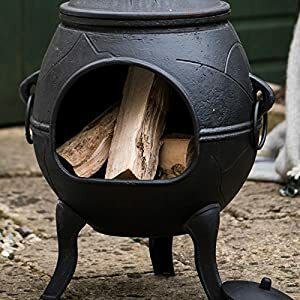 For this great price, the Go Garden Hoole Cast Iron Chimenea Fireplace is widely recommended and is always a regular choice amongst most people. Woodlodge Products have added some excellent touches and this means great value. A large modern and stylish looking chimenea with a solid cast iron top and legs. Easy to move and very easy to use. Warms up fast and gives a lot of heat. Burns any type of traditional fuel. 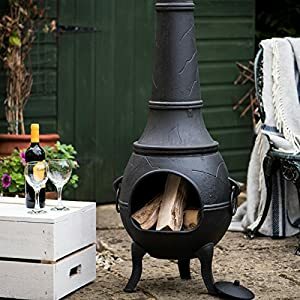 Best value for size chimenea. 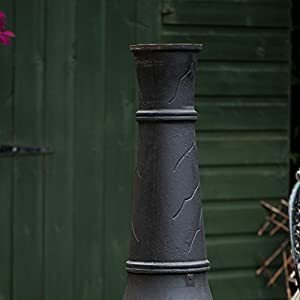 Choose steel and cast iron mixed chimeneas if you prefer metal over clay, but want to be able to easily move the chimenea around in your garden. This model comes with cast iron legs that are bolted to the chimenea. Metal chimeneas will rust. How much they rust is dependant on whether they are left outside in all weathers, how much they are used, how they are looked after. All can be re-painted. Rust does not affect use. Metal chimeneas surfaces can become very ho t in use and will burn the skin if touched. Burning temperatures inside steel and cast iron chimeneas are even higher than inside traditional cast iron chimeneas. We recommend the use of a chimenea guard when small children are present. This Chimnea is normally dispatched same working day from our warehouse in the heart of the cotswolds meaning most orders are delivered within 2 working days - We send you tracking information the second our products leave our warehouse as long as an email or phone number is provided you should receive updates about your order. Metal chimneas rust unless covered - how much they rust is dependent on exposure to the elements - Rust does not affect use.